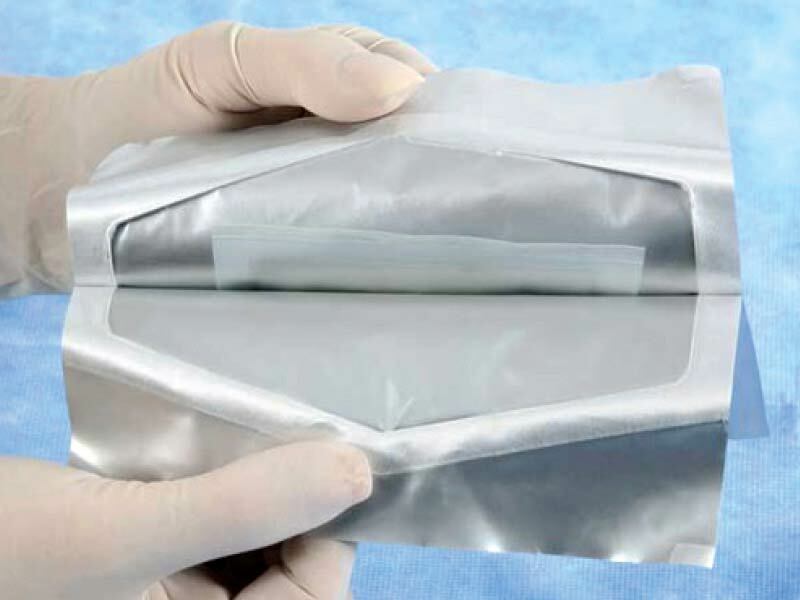 Medical devices that require protection against exposure to light, moisture or oxygen are packaged in Sterilmedipac’s Polyethylene or Polyamide film pouches. Polyethylene and Polyamide films offer high moisture and gas barrier. 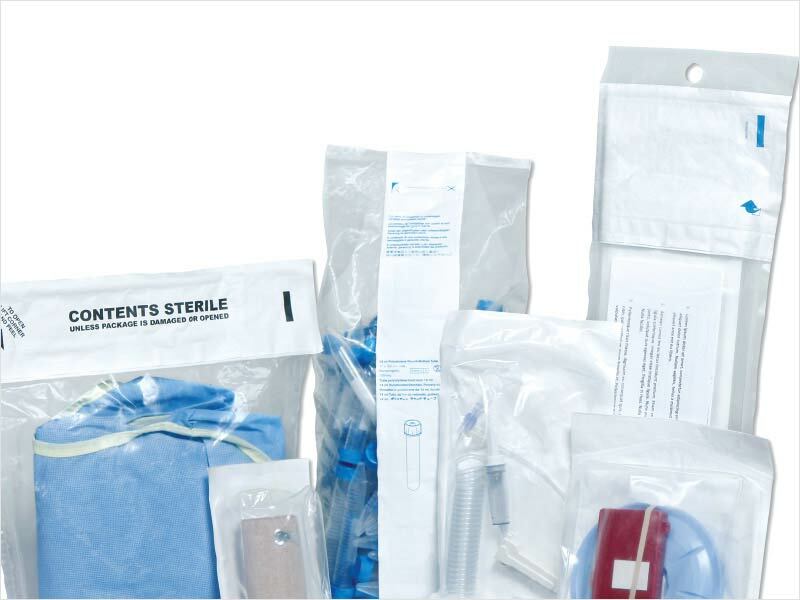 In order to sterilize such pouches, which are otherwise impenetrable by gases such as EO, a strip of Tyvek or Medical Paper is inserted in the pouch through which EO gas can pass through and sterilize the medical devices inside. 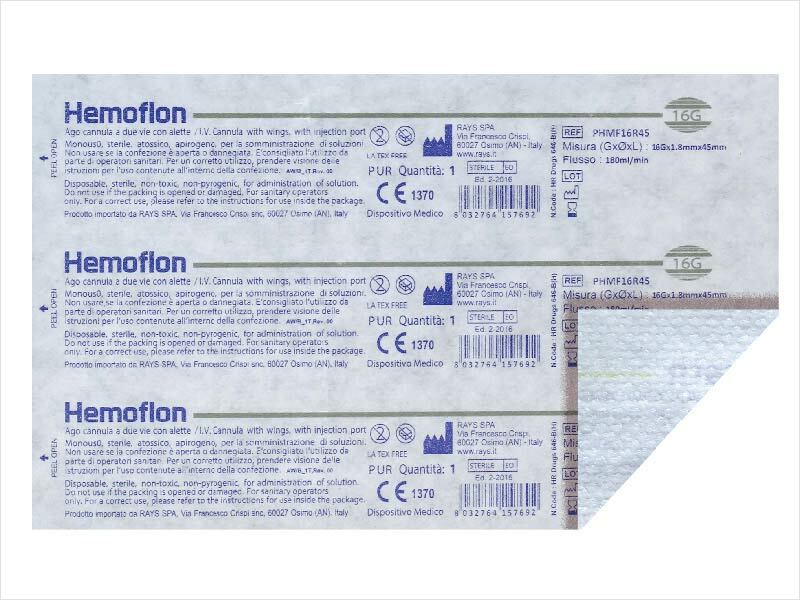 Breathable Tyvek membrane allows for moisture dissipation, preventing aggregation due to intense heat, during EO sterilization process inside the high barrier pouch. 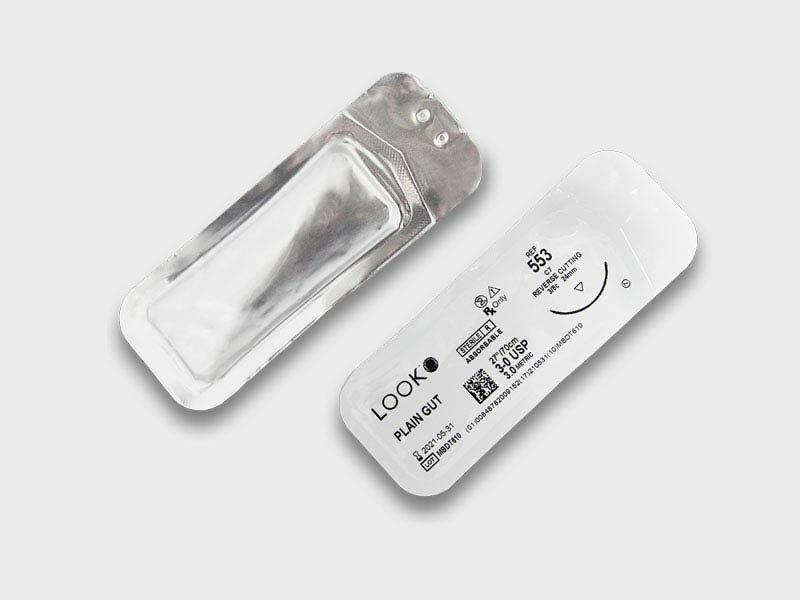 Medical devices that are photo sensitive or require high moisture resistance are packaged in Sterilmedipac’s Aluminium foil based pouches. Aluminium Foil is combined with Polyamide or Polyethylene based films for providing heat seal, lint free easy peel, protection from sharp edges of packed device and increased robustness of the pouch. Aluminium foil based pouches are sterilized by treating them with gamma radiation. These pouches are provided with a special tab near the chevron seal for easy peel-open. 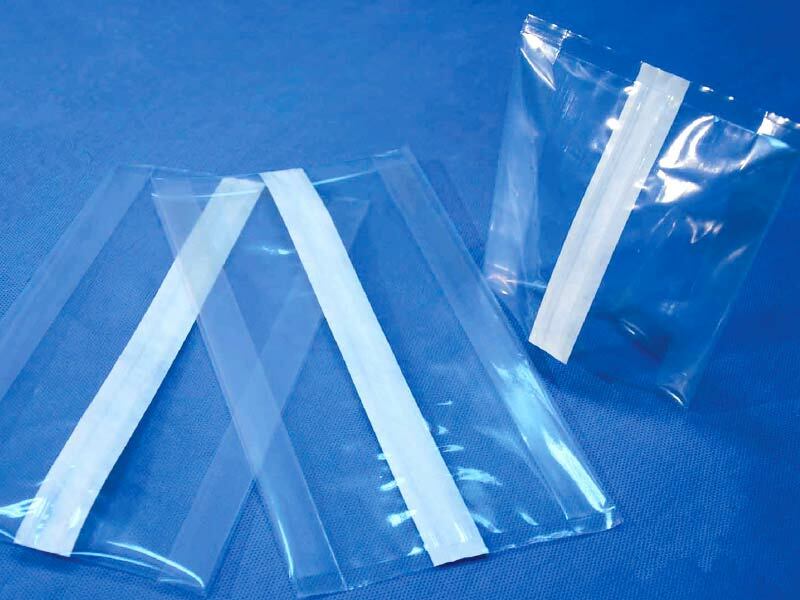 Sterilmedipac’s Tyvek® sterilization pouches and rolls are made from transparent Polyester/PolyEthylene copolymer film and uncoated Tyvek® film conforming to EN 868-9 standards. Stringent Quality checks are carried out on all Pouches and rolls to ensure Sterilization performance and safety of packaged medical device. Tyvek® membrane is Durable, Tear Resistant, Light Weight, Water Resistant and Microbe resistant material. Sterilization with ethylene oxide, gamma, electron-beam, steam (under controlled conditions) or low-temperature oxidative sterilization processes possible. 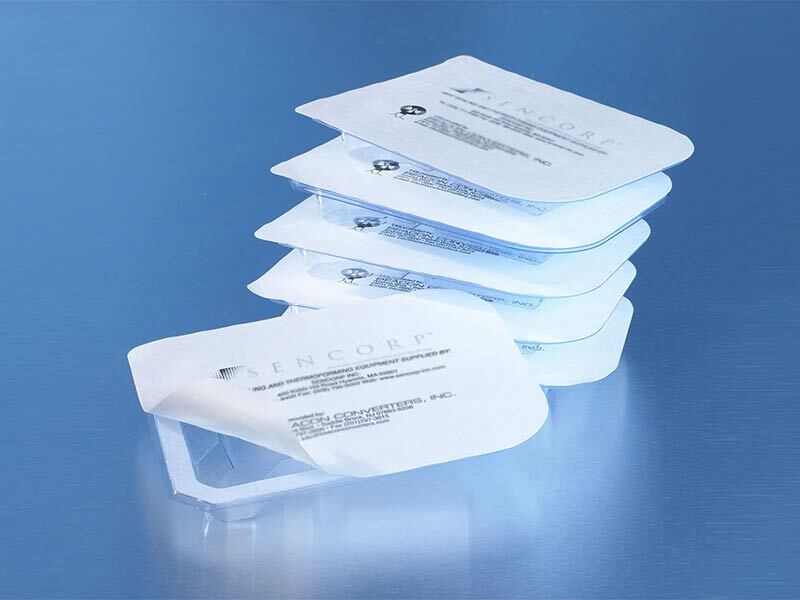 Pouches and rolls have imprinted Sterilization Indicators positioned outside the actual packing area to prevent ink imprint seeping into the paper and contaminating the packaged product. Sterilmedipac’s Medical Grade Paper Rolls and Pouches are made with 60 - 70 gsm paper heat sealed with PET/PP copolymer film. ISO 11607 : 1 certified Medical Grade Paper sourced from European paper Mills ensures clean peel minimizing air borne lint particles emanating during handling or opening of the pouch. Stringent Quality checks are carried out on all Pouches and rolls to ensure Sterilization performance and safety of packaged medical device. Three aligned sealed lines effectively avoid seal integrity compromise during sterilization. Pouches have a thumb notch positioned above the Chevron seal for ease of opening the pouch. Sterilization with ethylene oxide, gamma, steam processes possible. 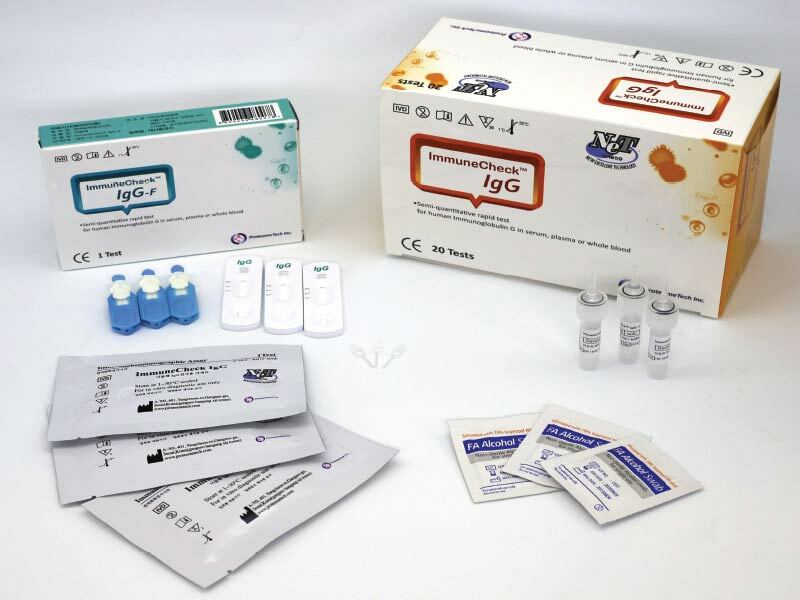 Pouches and rolls have imprinted Sterilization Indicators positioned outside the actual packing area to prevent ink imprint seeping into the paper and contaminating the packaged product. Conform with international norms like EN868. Sterilmedipac’s Surgical Glove Pouches are made out of a Medical Grade Paper on one side and a Polymeric film on the other. 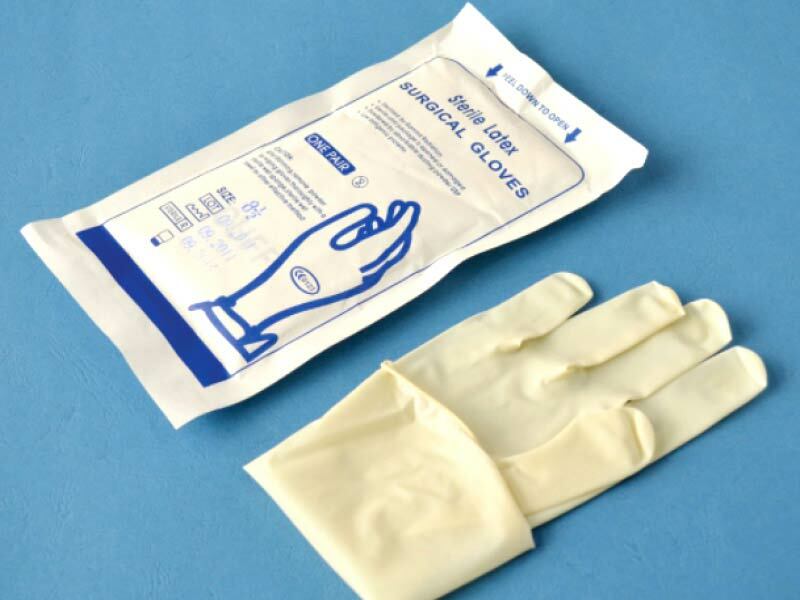 Once gloves are packed inside the pouch and sealed, they can be sterilized with Ethylene oxide that permeates the medical grade paper. To take the gloves out, the pouch can be easily peeled open without causing fibre tear and air borne lint particles. The Pouches are also custom printed as per client requirements. Sterilmedipac’s Diagnostic Kit Pouches are made out of multi layer laminated Polymeric film with a layer of aluminium foil sandwiched in between to protect the kits from ingress of oxygen and moisture. The Pouch surface is printed in multicolour and on both sides as per client requirements. 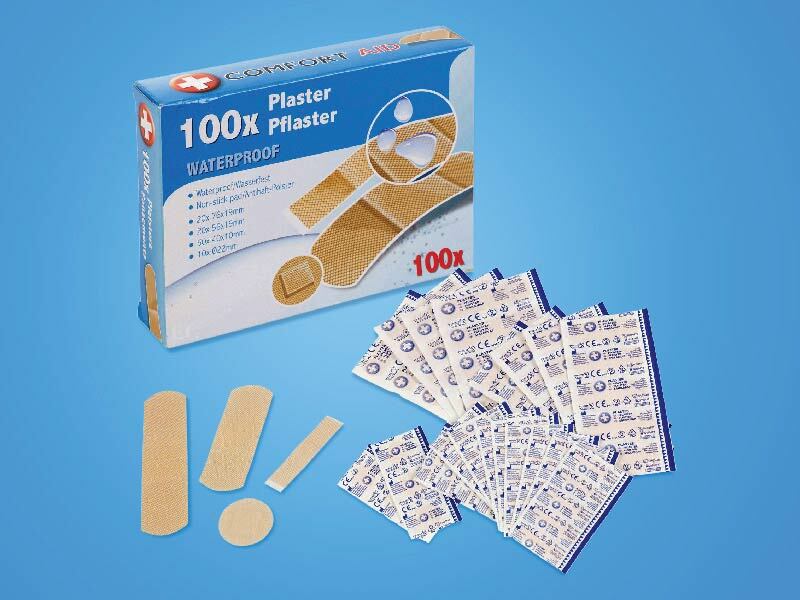 Sterilmedipac’s First Aid Plaster Packaging is made out of Paper coated with Pressure sensitive Adhesive. Therefore it can be sealed closed onto itself by applying moderate roller pressure and without the need for any heat application. Our First Aid Plaster packaging papers hence give excellent machine line productivity whilst ensuring easy peel open for the packaged First Aid Plaster strips. The Papers are available plain or multicolour printed as per customer requirements. Steril Medipac’s Aluminium Foil based laminates for packaging of sutures are 4 layer structures combining layers of Polyester film, Aluminium foil and Easy Peel film. The laminate has high barrier against moisture and air as well as high peel strength of upto 7.5N to keep the sutures secure from outside atmospheric conditions. 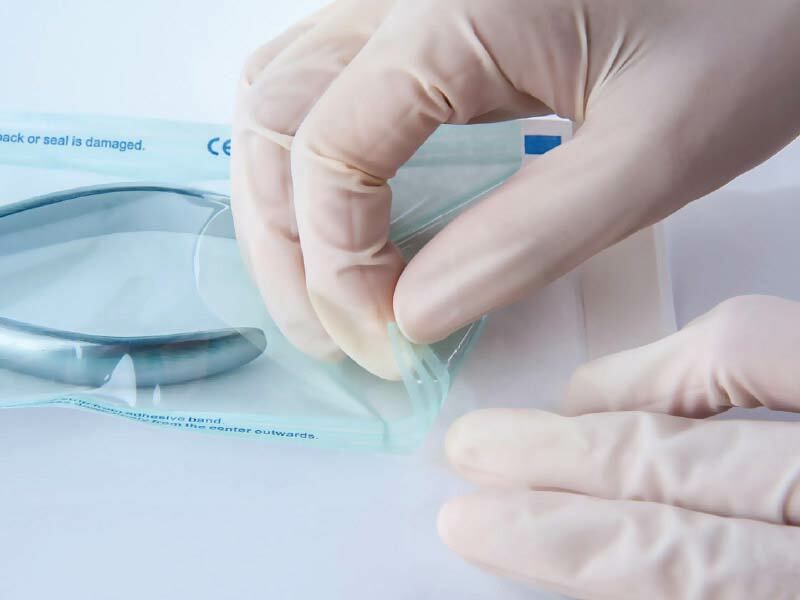 Packaging for sutures is available in two different variants ie High Peel – Premium packaging for sutures and Easy Peel – Cost effective packaging for sutures. Laminates are available in variety of custom sizes and structures can also be developed for specific customer requirements. 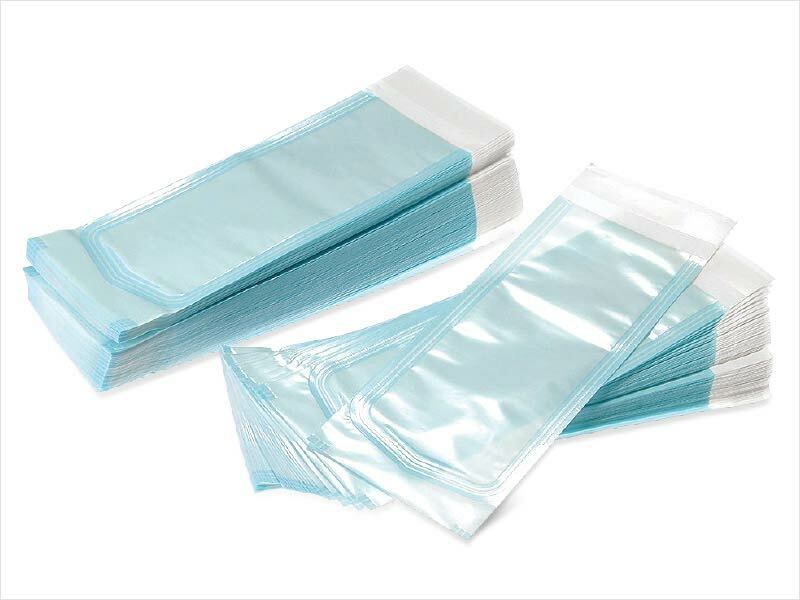 Self seal sterilization pouches are similar to medical grade paper pouches and are also made out of a layer of clear PET/PP laminate film on one side and medical grade paper on the other side. However unlike the latter, in self seal pouches the medical grade paper side extends beyond the film side to make a flap and has self adhesive tape which can be peeled open and folded back onto the film to close the pouch with its contents. The open side of Self seal pouches hence doesn’t need to be heat sealed to secure its contents, it can be just self sealed and sterilized thereafter. Self seal pouches are available in variety of sizes.